Additional Info: Began studying harp at the age of five in Las Vegas with Lisa Coffey, long time harpist of the Frank Sinatra Orchestra. Studied with Rosalind Beck, principal harpist of the Orlando Philharmonic Orchestra, for 14+ years. BM Harp Performance and BA Economics with Finance minor, Master of Business Administration, University of Central Florida. 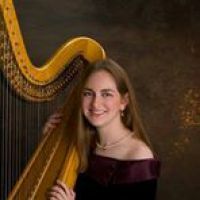 Active freelance harpist in the Central Florida area with extensive ensemble experience. Teaches select students, all ages, beginning through advanced levels in the Salzedo tradition.